Spirulina is a microscopic algae that grows naturally in fresh alkaline lakes, tropical springs, and salt water. It is on every continent but its highest concentrations can be found in Mexico, Central Africa and East Africa. It has a rich blue-green colour. Spirulina is very rich in protein, vitamins, minerals, carotenoids, and antioxidants. Traditionally, it was used as a food source by the Aztecs but since its rediscovery in 1960’s, it has become a widely popular dietary supplement due to its high vitamin, mineral, and protein concentrations. Spirulina is an excellent source of protein with good absorbability. Approximately 60 percent of dry weight of spirulina is protein. It also contains B Vitamins, Vitamin E, manganese, zinc, copper, iron, selenium, phosphorous, potassium, calcium, and the essential fatty acid – gamma linolenic acid, which has been known to help reduce cholesterol and prevent heart disease. Spirulina also has ten times more beta-carotene than carrots and thirty times more phytonutrient content than blueberries. There are a variety of health benefits associated with Spirulina such as boosting the immune system and energy levels, improving digestion, building endurance, cleansing the body, controlling appetite, optimizing cardiovascular function, supporting the liver, and reducing inflammation. Since Spirulina is such a potent source of vitamins and nutrients, it is considered a superfood and has thus gained much popularity as a dietary supplement. You can consume it as capsules, powder, tablets, or flakes. Spirulina has a strong taste so if taken as powder, it is best to add the powder into fresh juice or mix it into smoothies. Add this superfood to your morning smoothie, enjoy its vibrant blue green colour and give yourself an energy boost! Note: People with hyperparathyroidism, serious seafood or seaweed allergies, kidney disease, or phenylketonuria should consult their physician before taking any Spirulina supplements. The information on this website is for education purposes only. It does not substitute for proper assessment and treatment by a licensed health care provider. Why do I get bloated? Could it be SIBO? If you have been suffering from bloating and gassiness and don’t seem to be able to figure out why, the answer may be SIBO. Small Intestinal Bacterial Overgrowth (SIBO) is a condition in which large numbers of bacteria that are supposed to be found in the colon are present in the small intestine. This overgrowth wreaks havoc on the digestive system. Given that one of the main functions of the small intestine is to digest and absorb food, any interruption in this process will affect absorption of nutrients and potentially lead to numerous nutrient deficiencies. SIBO is often an overlooked condition as its symptoms do overlap with other conditions. For instance, many patients with IBS test positive for SIBO which may be the underlying cause for their symptoms and often these symptoms are eliminated with proper SIBO treatment. Some of the symptoms of SIBO include bloating and distention, excessive gassiness, indigestion, abdominal pain/cramps, and diarrhea/constipation. How do I get tested for SIBO? SIBO Breath Test measures the levels of hydrogen and methane, which are two gases, produced by bacteria in response to glucose or lactulose (sugars). Humans do not produce these gases. These gases are a result of fermentation of these sugars by bacteria. If the levels of these gases increase to an abnormal level, then SIBO is diagnosed. Complications from untreated chronic SIBO can range from mild vitamin and mineral deficiencies to severe malabsorption and consequently major nutritional deficiencies and even weight loss. Can Sugar Speed Up Aging? Aging is a complex process that affects every organ, cell, molecule and body function. Consuming high amounts of sugar will most definitely accelerate this process. When sugar gets into your circulation, it goes through a process called glycation in which the sugar binds to proteins, creating molecules called advanced glycation end products also known as AGEs-a fitting acronym for the topic at hand. AGEs are harmful in that they are damaging to different proteins throughout the body. One of the main functions of proteins is to provide structure for the body. Approximately one third of the body’s protein is collagen. Collagen is found in areas such as muscles, bones, blood vessels, ligaments and the skin. Among collagen, your skin also contains another protein fiber called elastin, making the skin the perfect target for the AGEs. Elastin and collagen are the building blocks that keep your skin firm, smooth and help maintain its elasticity. When these protein fibers are damaged and their structures are weakened, the skin starts to lose its resiliency and the skin begins to sag and form wrinkles. To add to the insult, AGEs also turn off some of your body’s antioxidant enzymes, further reducing your protective mechanisms against aging. The negative effects of AGEs are very pronounced in individuals with delayed diagnosis of diabetes or poorly controlled diabetes. The chronic high blood sugar levels in diabetic individuals leads to the accumulations of AGEs which in turn not only reflect as premature signs of aging as the skin’s elasticity becomes compromised but can also damage the blood vessels of the heart, eyes, kidneys and the extremities. The blood test HbA1c (hemoglobin A1c) is used to measure the amount of glycation on red blood cells, making this test a very important tool to assess how well blood sugar levels are kept under control. The higher the HbA1c levels, the higher the glycation and the more accelerated the process of aging and damage to the body. The good news is that there are steps that can be taken to minimize AGE formation. One way to do this is to reduce your intake of sugar since a rise in blood sugar levels is one of the main driving forces behind glycation. According to a 2011 report released by Statistics Canada, Canadians consume an average of 26 teaspoons of sugar a day, which amounts to about 88 pounds per year. 35% of this intake comes from added sugar. This is an area that we can definitely improve on. Always read labels for hidden sources of sugar. For instance, many store bought sauces, salad dressings, dried fruit, canned foods and breads contain added sugar. Other high sugar ingredients to look for and avoid include corn syrup, malt, molasses, fructose, turbinado, dextrose, glucose and fruit juice concentrate. And simply avoid adding sugar to your food and drinks. For instance, if you are used to adding sugar to your tea, next time try adding a dash of cinnamon instead. It gives it a mild, sweet flavor and has the added benefit of supporting healthy blood sugar levels. Eliminate poor quality carbohydrates such as white bread and pasta as these products quickly break down to sugar and spike up the blood sugar levels. Also avoid “sugar-free” products as most of these are made with artificial sweeteners that among other side effects can trigger sugar cravings. Another way to reduce the effects of glycation is to consume more antioxidants. Antioxidants help to neutralize free radicals that would otherwise be damaging to your skin. Many antioxidants inhibit AGE formation. Blueberries, blackberries, tomatoes are all excellent sources of antioxidants. Drinking green or white tea on a regular basis will further deliver potent antioxidants into your system. Supplementing with vitamin C and E also helps enhance your antioxidant levels. More sugar does in fact amount to more wrinkles. But the skin is just an external indicator of internal health and eating sugar will actively age you inside and out. Making a conscious effort to reduce your daily intake of sugar and increasing your antioxidant intake will have a great impact not only on your skin but also on your overall health and in prevention of many diseases. Always consult your naturopathic doctor before initiating a new regimen. “Eat breakfast like a king lunch like a prince and dinner like a pauper”. There’s good reason for this saying. Many of my patients admit to skipping breakfast or even worse replace it with a cup of coffee instead so we always have a discussion around this topic. Breakfast allows your body to refuel for the day ahead; in essence you are “breaking your fast”. Some of the effects of skipping breakfast include fatigue, irritability, weight gain, low mood, and midmorning cravings for carbohydrates and sugar-your body has not been replenished with the fuels it needs to keep your blood sugar stable hence the cravings. 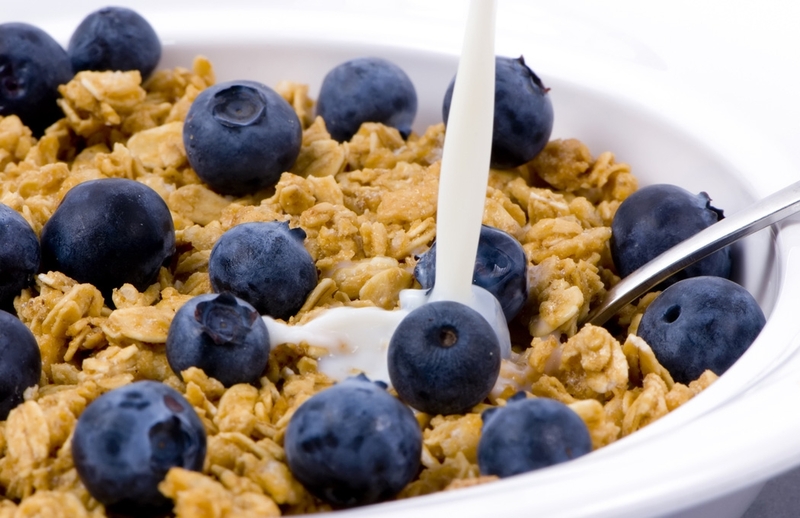 Focus and concentration are also affected by skipping breakfast. This is especially seen in kids and students. Studies show that school children who eat breakfast are more alert, attentive and creative than those who don’t eat breakfast. And for those who skip breakfast as an attempt to cut down on calories and help with their weight loss, not such a good idea. Eating breakfast actually kickstarts your metabolism for the day and skipping it makes losing weight more difficult. If you are short on time to cook a big breakfast, simplify and plan ahead. Have a couple of boiled eggs, make a protein smoothie or prepare some oatmeal the night before, warm it up in the morning, sprinkle with some nuts and berries and that makes for a healthy quick breakfast. Having some form of protein in your breakfast is vital as this will ensure your blood sugar levels remain stable, you stay satiated for a longer period of time and you are less likely to be cave in to that midmorning cookie temptation! Any change in life comes about by making small adjustments everyday and staying focused on your goal; losing weight is no different. Today is a new day. You can set your ideal weight goal and start making some simple changes to your daily routines which are guaranteed to give you results in the long run. Cut out processed foods and empty carbohydrates. These include candies, pop, refined breads and pasta, processed cheeses, meats, canned foods, frozen dinners and so on. Eat lots of fiber and vegetables to fill you up and reduce cravings. Read the labels on the foods you buy. That “healthy” granola bar you snack on everyday may have more sugar and additives in it than you think. 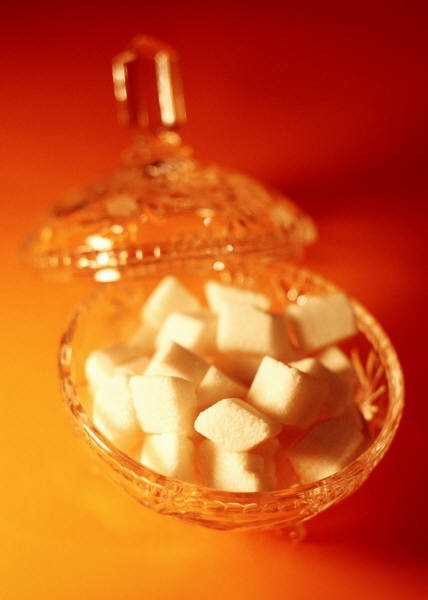 Stay away from foods that have added sugar which may be labeled as corn syrup or glucose-fructose. And just because a product is organic does not mean it has no added sugar, organic cane sugar is still sugar. Be sure to include some healthy fats in your diet. These include nuts, seeds, fatty fish like salmon, avocados, and flaxseed oil. Healthy fats help stabilize blood sugar levels, reduce cravings and keep you satiated for longer periods of time. Make it a habit to engage in at least one type of exercise daily. If you are not one to hit the gym every day then just do some other form of activity-run up and down the stairs 10 times or do 50 jumping jacks or go for a brisk 15 minute walk. The most important thing is setting a goal that’s realistic for you and sticking to it!